This post is my Lillypost Subscription Box Review. 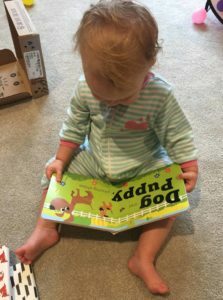 I ordered the 3 month, board book plan and have put together my thoughts on all three months below. Why Get a Subscription Box for a Toddler? I had been considering getting my daughter a subscription box for awhile. I liked the idea of a book subscription because our bedtime routine involved reading stories and truth be told I was getting bored with our current selection. I thought it would be fun to get some new books each month and make it a little “event” when we got them to keep her love for books strong. Although I have a library card, I find at this age my daughter loves putting books (and everything) in her mouth and don’t want to risk damaging the books from there, but buying books at retail gets expensive. So I tried Lillypost, a subscription box that sends age-appropriate books each month up to 50% off retail. United States: $17.95+$4.95 s&h plus tax (where applicable). Canada: $22.46 + $7.95 s&h plus tax. I couldn’t find two of the four books in Canada, so the $7.99 is actually US$ which would make it more expensive for me here. I also assumed that I would pay some sort of shipping to get the books online so used the same $7.95 as Lillypost did. Without shipping – I would have saved about $8.64 – still good! This selection of books are all so different – in a good way! The Hippo Says Excuse Me teaches little ones manners, What Does Baby Say helps expand vocabulary, Alice in Wonderland is bright and colorful with pull and push tabs and All of Baby Nose to Toes is another great book for learning the names of body parts. All around very satisfied with the quality and variety of the books. Hello Mr. Moon by Lorna Gutierrez and Laura Watkins – $10 ? Another good savings month. I couldn’t find Hello Mr. Moon new so guessed it was $10. The favorite book this month was Little Lamb Lost. Very cute book with nice illustrations. I found Under the Bed too old for my daughter. Its intended to help kids get over the fear of monsters under the bed, but as my daughter is under two it isn’t applicable yet – so in the closet if needed. I also paid an extra $5 each month to have the books individually gift wrapped. Which I thought would be really fun – like Christmas every month. However the quality of the wrapping actually worked against me in this case. My daughter couldn’t open them! So I ended up unwrapping, which wasn’t the point – ha! I do think older kids would like this option though, especially if you are buying it as a gift. 1. For every box purchased 1 book gets donated. 2. Each month they have a coloring contest with a theme. You use the box the books come in. 3. If you get a book that you already have you are encouraged to donate it (they won’t accept returns), which I love! You are getting a deal, so if one month you end up paying equal to retail I think the charity aspect of it makes up for it. Include your child in the donation and it’s a great teaching moment. I doubt this would happen often (it didn’t happen to me), but I like the company’s approach. Your credit card will continue to get charged if you don’t go into your account and stop an automatic renewal. Their customer service was great and reversed the charge and stopped the renewal, but I found any personal admin annoying (ha!) and if I hadn’t of paid attention to my credit card statement I would have kept receiving them. As I was getting these before Christmas I thought I would pause the subscription. 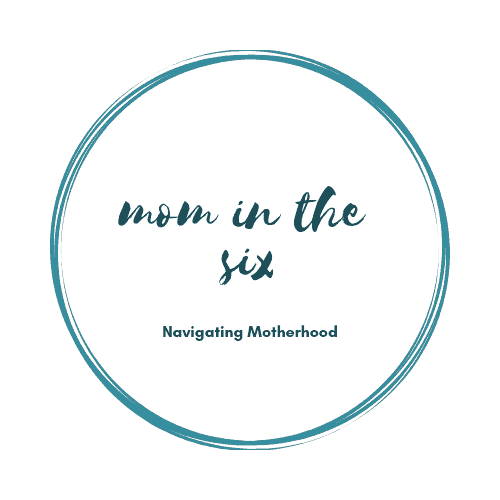 I would recommend Lillypost’s subscription box (at least the board book plan which I did). My daughter enjoyed getting new books each month. And I did too – as I mentioned before I was getting bored with our current selection. In the end I will have 12 new books, we got to unwrap them together and she genuinely enjoys the books that we received. I also saved some money! I think these subscription boxes are such a great Baby Shower, Birthday or Christmas gift. Your gift can be spread out over months which is unique. I hope you found my Lillypost review helpful – let me know if you subscribe and what you think! This sounds like a great subscription box, I live in a state where children get one free book monthly until age 5, so I’ve been using that. But in two years my daughter will no longer be eligible for this. I’ll definitely be looking into Lillypost for after. I love that it’s so affordable, and you get so many books for such a small price. That’s terrific! That is amazing! I wish we had the free book here! Lillypost is a great alternative after her fifth birthday. My favorite part is that you have the books gift-wrapped! We love books in our home and it makes kids even more excited when they arrive in special packages like that! I love this! I love books, and I want my daughter to have that same love of books. Very interesting! I never thought to get a subscription box but it does seem to make things easier.